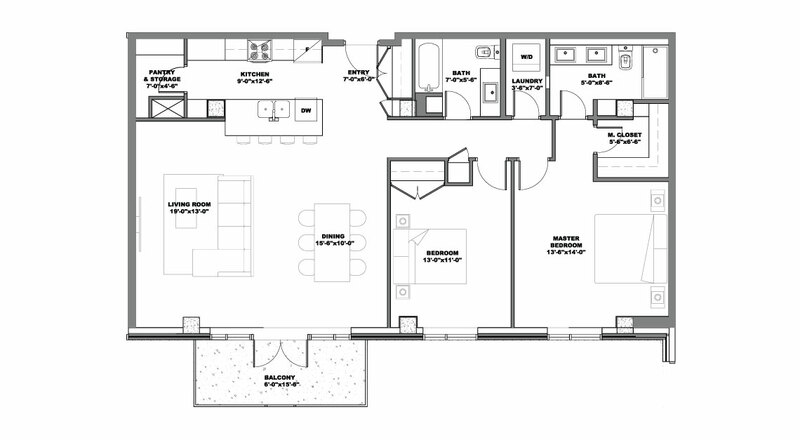 A brilliant 2 bedroom condominium on The Keep’s second floor that steps onto 7200 sq.ft. of rooftop terrace; fully equipped with your most practical luxuries and designed for a full range of lifestyles. The high-end kitchen is appointed with a magnificent centre island, quartz countertops, soft-close drawers and cabinets to the ceiling. Enjoy ample kitchen storage with lots of drawers and your own walk-in pantry.